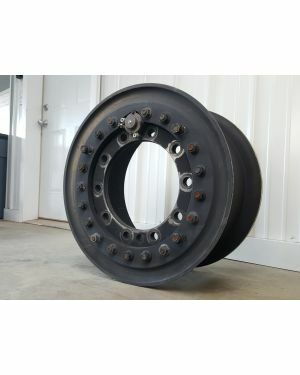 These 20" x 10" aluminum MRAP wheels have a 10 x 335mm lug pattern with a 283mm pilot hole/center bore (or about 11.14"), and are most often used with aftermarket wheel adapter plates on 2 1/2 tons and other vehicles with lug patterns small enough to fit within the center bore. 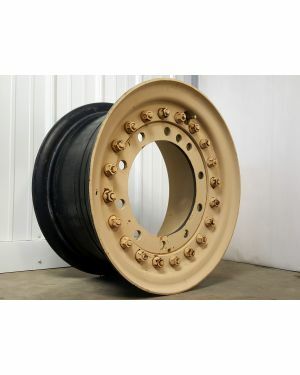 They have been previously used and mounted on tires, and as a result may have light gouges around the center hub from prior mounting, as well as scuffs in the paint and minor surface corrosion on the stud nuts. 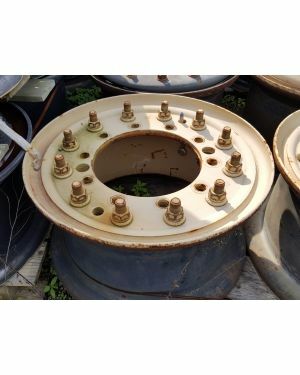 * Please note that the old o-rings can sometimes be difficult to reuse and may need to be replaced to ensure a proper seal.